Online Application Details for Educational Consultants India Limited EDCIL Recruitment of 1 Scientist is given below. 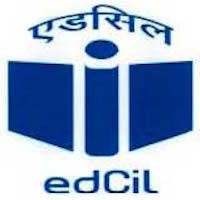 Candidate's minimum education qualification for the Vacancies in Educational Consultants India Limited EDCIL should be M.Sc. / M.Tech. / Ph.D.